← Let’s be Social Butterflies! Oops, the week of no pictures! I went to Aldi this week to pick up a few things. No luck finding anything organic except baby spinach yet. I have heard that Aldi is going to have a permanent organic line so I am excited to learn more. I picked up baby spinach, mini bell peppers, mini cucumbers, some crescent rolls (ugh, I know they are terrible non-food items but they were calling to me!) steel cut oats, and bread. I believe I spent $15 but local toddler absconded with the receipt. We went to Costco last week but for the life of me I can’t remember what all we bought or how much we spent. I know there was Wild Planet tuna, organic tortilla chips, Chobani yogurt, Naked juice and some lunchmeat. I’m sure there was more I am not remembering. Probably $100ish. Starting to think about Thanksgiving! I am probably in charge of bringing sweet potatoes because that is what I always bring! I keep chipping away at my recipe and tweaking things every time I make it. I probably won’t get it made in time to share before Thanksgiving but I will have it up before Christmas! 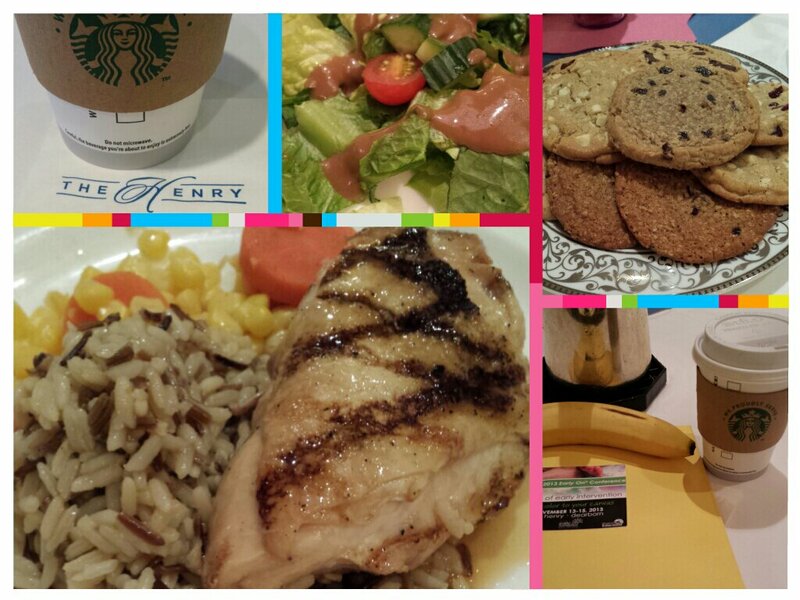 Because I think all posts need a photo, here is a random collage of food from the conference I attended at The Henry in Dearborn. Everything they fed us was delicious and the hotel is art gallery beautiful! What is “your dish?” That one thing everybody raves about and begs you to bring? What is your favorite Thanksgiving food? I really love the turkey, mashed potatoes and stuffing all mixed together. It is the only time my food is allowed to touch!